This unit controls the standard transport controls on the Otari MTR-15, MX-50, MX-55, MX-55N, MX-5050 BIII-8, MX-5050 MkIV-2 & MkIV-4 deck (Play, Record, Stop, Fast Forward, Rewind and Lifter). 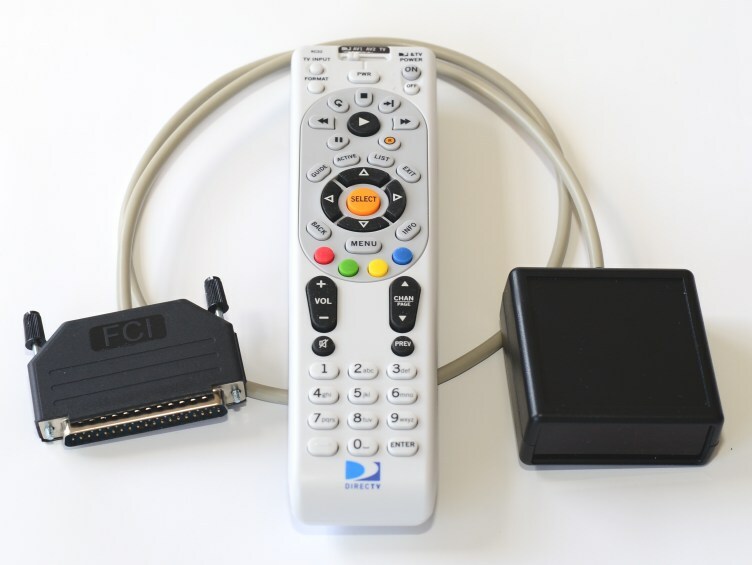 It uses any standard universal remote programmed for Sony VCR (preprogrammed DirecTV remote included). Wireless remote adapter for Otari decks that use the Otari CR-705A (CB-102-S) wired remote. Will work with the Otari MTR-10-2, MTR-10-4, MTR-12II-I, MX-5050, MX-5050 (QXHD, B2HD, BQII, BII2, B2F, BIII-4, MkIII-4) and other decks that have the brick red 12-pin cinch jones connector on the back. 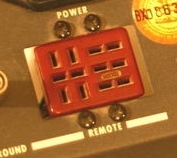 I do not make a remote for the MX-5050 MkIII decks. Remote adapters are also available for Aiwa, Akai, Ampex, Crown, Denon, Nakamichi, Otari, Pioneer, Revox, Sony, Studer, Tandberg, Tascam, Teac and Technics decks.